Form two teams. One will be the Mountains and one will be the Valleys. Set a timer for one minute. Team Mountain will try to flip all of the cones so they point toward the ceiling. Team Valley will attempt to flip all of the cones so they point toward the floor. The cones can be flipped multiple times, but you can only flip one cone at a time. The teams will try to make as many mountains or valleys as possible in one minute. If there are more mountains than valleys, team Mountain wins the round. 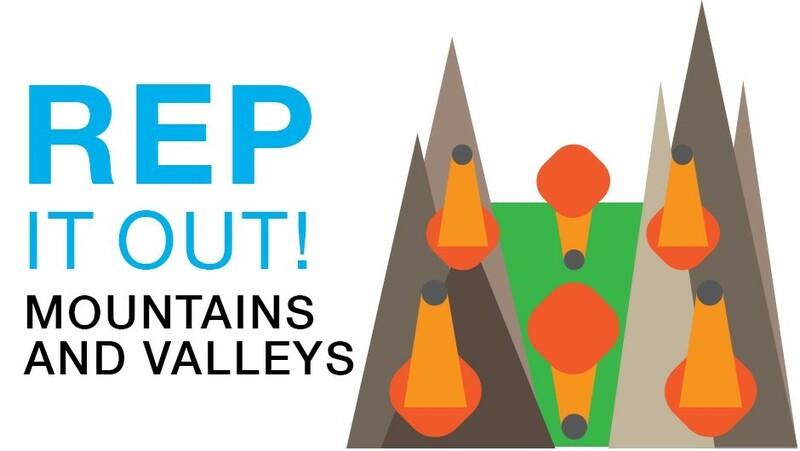 If there are more valleys, team Valley wins. Use rock-paper-scissors to break a tie. EASY: Create teams with even numbers. MEDIUM: Make one team with more players than the other. HARD: Set the timer for 30 seconds.